A year ago, this was seen as a long shot. Then, somehow, over the course of the 2012 season, it slowly became more and more of a possibility. Now, it's done. 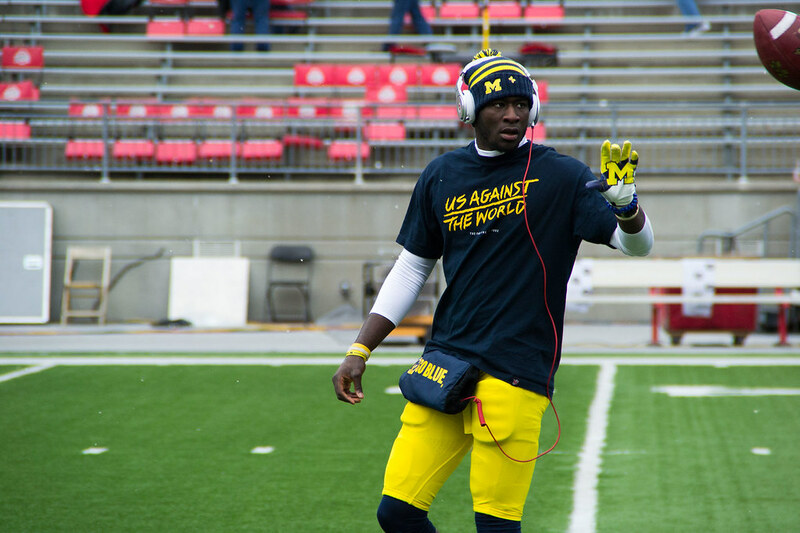 Devin Gardner will be a redshirt junior this season. I don't think I need to tell you how absolutely huge this is. It's 100% more Devin than we expected to have left going into the 2013 season. His redshirt is for the 2010 season where he only saw limited action in 3 games while dealing with back issues. Hoke seemed to expect that Devin would receive a medical redshirt when Michigan applied for it last year. Michigan has secured it's starting quarterback spot for the next two years. And the off-season of good news continues. ANN ARBOR, Mich. -- The University of Michigan Athletic Department announced today (Tuesday, March 5) that quarterback Devin Gardner has been granted a medical hardship for the 2010 season and will have two seasons of eligibility remaining. Gardner appeared in three games in 2010 as a true freshman before suffering a season-ending back injury. Gardner appeared in 13 games in 2012, beginning the season as a wide receiver before starting the final five games at quarterback. He completed 75-of-126 passes for 1,219 yards and 11 touchdowns with five interceptions, while rushing 47 times for 101 yards and seven touchdowns and catching 16 passes for 266 yards and four touchdowns. In each of Gardner's five starts at quarterback, he accounted for at least two touchdowns and twice earned Big Ten Offensive Player of the Week honors. In his first career start at Minnesota, Gardner completed 12-of-18 attempts for 234 yards and two touchdowns and carried the ball 10 times for 21 yards and a score. The following week, he completed 16-of-29 passes for 286 yards and two touchdowns and carried the ball nine times for 47 yards and two touchdowns. Against Iowa, Gardner completed 18-of-23 passes for a career-best 314 yards and three touchdowns and rushed nine times for 37 yards and three more touchdowns, becoming the first Wolverine player to account for six touchdowns in a game since Steve Smith scored three rushing and three passing touchdowns in 1983. The Wolverines will open Spring Football with their first of 15 practices on March 16.